Encounter the trillion-dollar industry of counterfeit goods in the Counterfeit Crimes and Pop Culture exhibit! The illegal traffic and sale of counterfeit items affects our daily lives as it impacts large corporations, small businesses and American jobs. The International Anti-Counterfeiting Association has teamed up with the museum to create this interactive gallery so that you can see the hazards you face when purchasing a counterfeit product. You can also view a wide range of counterfeit items, including Rolex watches, Playstation consoles, Ugg boots and much more! The Punishment: The Consequence of Crime gallery at the Alcatraz East Crime Museum shows the harsh reality of committing a criminal act. There’s a full-scale model police station, which includes a claustrophobic jail cell. Moreover, this gallery also features the ultimate instruments of punishment! You can find a gas chamber, electric chair, lethal injection machine and even a guillotine. While browsing through this gallery, examine the interactive exhibits where you can try to outwit a lie detector test or stand in a policy lineup so a victim can identify you! Another gallery that you can experience at the Alcatraz East Crime Museum is the Crime Fighting gallery, which showcases the world of those people who risk their lives on a daily basis to keep our world safe. While browsing through the gallery, you will see uniforms, firearms and restraining equipment of law enforcement officers. You will also have the opportunity to view exhibits on bomb squad and night vision technologies, as well as the FBI’s 10 Most Wanted List. Don’t forget to check out the High Speed Police Chase Simulators and the Field Sobriety Checkpoint to find out how alcohol impacts your ability to perform basic tasks! If you ever imagined what it was like to be a crime scene detective, you will be intrigued by the Crime Scene Investigation gallery! This is your chance to learn how to solve crime through the use of forensic science technology! Use methods such as ballistics, fingerprinting and facial reconstruction. There are a number of interesting interactive exhibits in this gallery. For example, go explore the Crime Scene Investigation Lab, Personal Safety Challenge and the Body of Evidence exhibits. Be sure not to miss the Cold Cases in America exhibit! This showcases the police files of famous unsolved cases including the Anthrax attacks, Black Dahlia and Chandra Levy. Take a virtual journey through the ages in the Notorious History of American crime gallery! You can find it all, from the gunslingers of the Old West to the white collar criminals of today! This gallery examines the criminal masterminds of many different eras. You can experience a variety of interesting artifacts. Including a showcase for Jesse James and other Wild West outlaws, as well as the bizarre punishments and witch hunts of Colonial America. You also have the opportunity to have your picture taken in a pillory! This is your chance to find out first-hand what it was like to experience this punishment device during colonial times! Check out our Alcatraz East Crime Museum coupon today to save money on this unique attraction in Pigeon Forge TN! 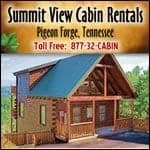 Also, be sure to browse our other amazing coupons for massive savings throughout the Smoky Mountains!